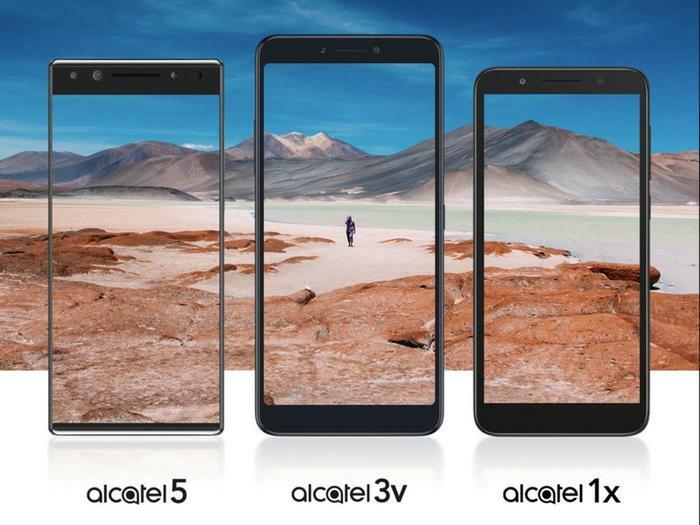 Following on from a teaser at this year’s CES, Alcatel have moved to formally detail their 2018 smartphone portfolio at this year’s Mobile World Congress. “For nearly 20 years, Alcatel has been a leader at delivering high-quality, premium mobile technology experiences that are accessible to consumers around the world,” said Christian Gatti, Global President Alcatel Business Division and Executive Vice President TCL Communication. The company’s latest family of phones are split across three ranges - called the Alcatel 5, 3 and 1 Series - all of which boast displays with an 18:9 aspect ratio. The Alcatel 5 features a bezel-less 5.7-inch Alcatel FullView 18:9 display, premium brushed metallic unibody design and octa-core processor. It also includes a 13MP f/2.0 front-facing camera with a secondary 5MP 120-degree super wide-angle lens and LED flash. There’s even a dash of AI in the mix here, with the camera said to be intelligent enough that it can intuitively switch from portrait mode to super wide-angle mode when it detects more than two faces in the shot. 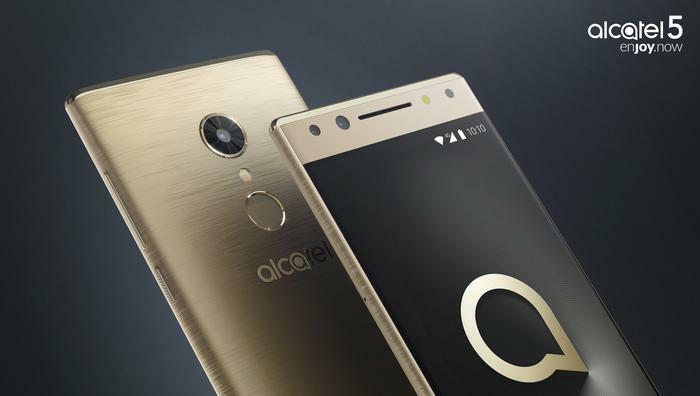 The Alcatel 5 will feature a new level of facial recognition security called Face Key that enables you to easily unlock your device by simply glancing at the screen. For those who don’t fancy this, however, there’s also a fingerprint sensor is located on the back of the device. The Alcatel 5 will be available in Australia in Metallic Black and Metallic Gold in mid-late 2018 at an RRP of less than $300. Then, the Alcatel 3 series comes designed with beautifully curved lines, sleek 2.5D contoured edge glass, and curved backs, for a more comfortable fit. As with the 5, the family of devices here feature 18:9 FullVision displays and Face Key unlock. 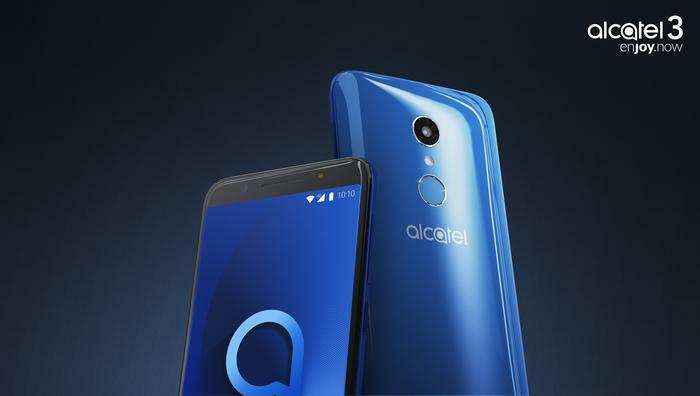 There’s three options to choose from here: the regular Alcatel 3 (which features a 5.5-inch IPS display), the 3V (which features a 6-inch 2K display) and the 3X (which features a 5.7-inch IPS display). While all three devices feature 5-megapixel front-facing cameras with LED flash, the 3V and 3X also feature dual-lens rear-camera setups. The Alcatel 3V will be available in Australia in Q3 2018 and comes in Spectrum Black and Spectrum Blue for $199AUD. Australian availability for the ALcatel 3 and 3X is to be confirmed. “In order to evolve our product portfolio, we needed to start by re-thinking the way we approached the design of our smartphones so that user interaction feels more natural and intuitive,” said Hagen Fendler, Chief Design Officer, TCL Communications. Local availability for the Alcatel 1 Series of devices is to be confirmed.